Combine telemetry data with other datasets to develop a full life cycle population model for American woodcock. 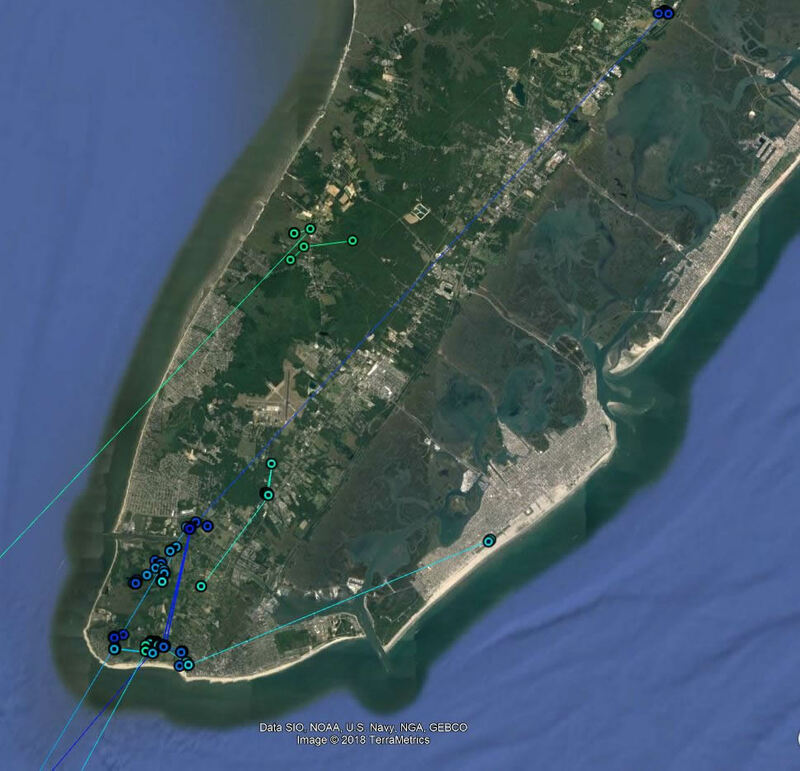 During December, Division staff and cooperators captured and put small radio-tags on 15 woodcock (8 females and 7 males) on the lower Cape May peninsula. These small transmitters send periodic locations via satellites that allow biologists to track their movements without having to recapture them. Woodcock were captured at night with long-handled dip nets by "freezing" them on the ground using high-powered spotlights in mowed strips of fields where the birds roost at night. The Nature Conservancy, Cape May National Wildlife Refuge, and New Jersey Audubon played key cooperator roles by preparing (mowing) sites for capture in roost fields, allowing access to land, or by lending capture equipment. 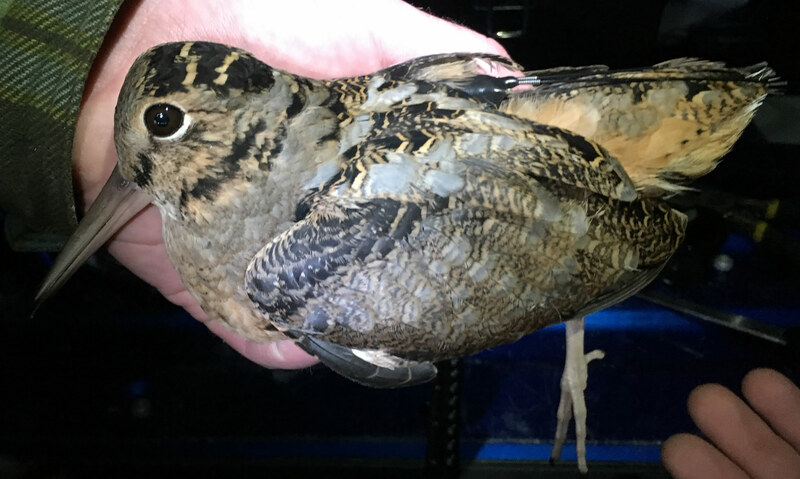 Shortly after banding, one woodcock banded in New Jersey moved to eastern North Carolina, while two birds moved to the eastern shore of Virginia just before Christmas. 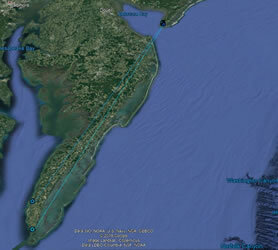 The remaining birds continued to make local movements on the Cape May Peninsula. 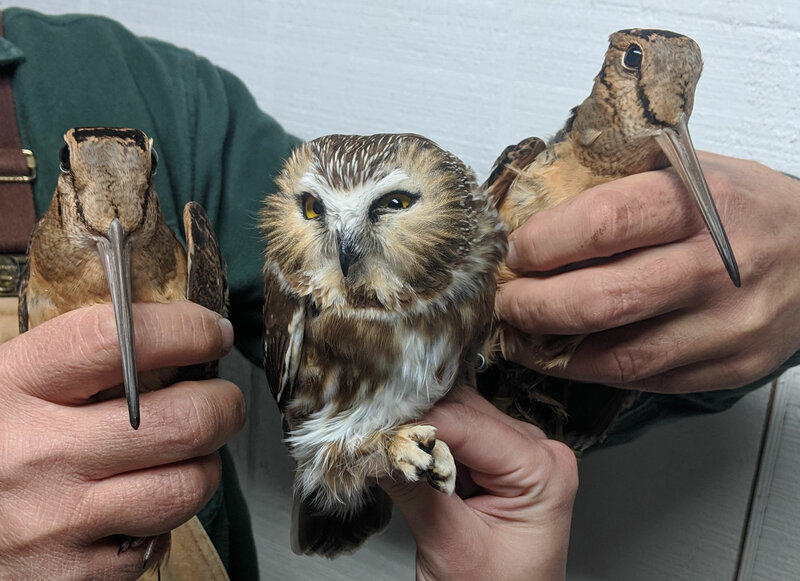 Bonus saw-whet owl (center) captured and banded by NJ Audubon cooperators on same night/site where several woodcock were instrumented. Map showing local wintering movements of Cape May tagged woodcock. 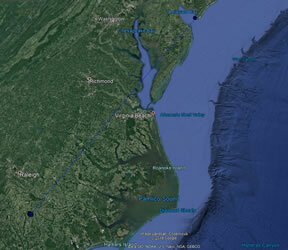 Map showing Cape May bird that moved to eastern North Carolina. Map showing Cape May bird that moved to eastern shore of Virginia.